Members of Parliament's second chamber, who are known as peers, are not publicly elected. Most are appointed, although the system changed in 2000 and is likely to again. A fixed number are elected internally, and a limited number of Church of England archbishops and bishops also sit in the House. Their main job is to "double-check" and revise proposed new laws to make sure they are fair and will work. However, although they can delay legislation - possibly long enough to get it withdrawn by the government - peers do not have the final veto over proposed laws, and they cannot approve government taxation or spending. The Lords is usually regarded as a more independent chamber than the Commons, with wider specialist expertise. Peers are less likely to be aligned to a particular political party, although many still are. However, even these are generally less likely to feel constrained by the party whip, which is used to ensure they vote along party lines. Many members of the Lords are independents or crossbenchers, who belong to no particular party. The so-called upper house has been around since the 14th Century and politicians are still trying to modernise it. While the 747 or so peers are not elected, that may change for some of them in the future, under the latest proposed reform. 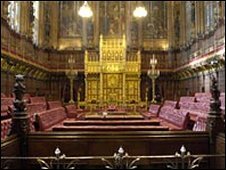 The House of Lords is also the highest court in the land: the supreme court of appeal. A group of 12 salaried, full-time judges, known as Law Lords, carries out this judicial work. 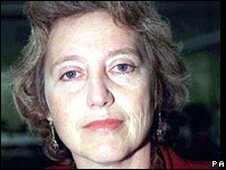 Other Lords may be life peers (the majority), who are either appointed by a special commission or nominated by parties; hereditary peers, who inherit family titles, or bishops. Parliamentary material is reproduced with the permission of the Controller of HMSO on behalf of Parliament.